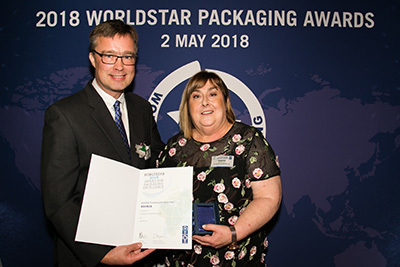 The 2018 WorldStar Save Food Packaging Special Award winner was announced on the 2 May alongside the 2018 AIP National Conference, with one of our very own PIDA winners taking out the gold. Sealed Air New Zealand was awarded the gold award for their Fresh Technologies Ltd and Sealed Air Cryovac® Freshness Plus® design which was developed for a New Zealand company. It has enabled Fresh Technologies to extend the freshness of avocado and reduce product spoilage by 7.2 tonne. A 90-day shelf life supports wider distribution and the 3% growth in global consumption. With consumers seeking preservative-free freshness, fressure™ avocado spreads and guacamole in Cryovac® Freshness Plus® deliver just this. Extended shelf life ensures less of our world’s hard-earned harvests end up in landfill and this also includes the copious resources used during harvesting. With humanity consuming 1.6 times more resources than what’s available, extending the shelf life of food is pivotal for a sustainable and less wasteful planet. Another PIDA Award winner Woolcool Australia was also shortlisted in the same category and they were awarded the bronze Special Award. Summer temperatures, long supply chains and deliveries that sit on a doorstep for 12hrs+ present challenges for the fresh food/meal delivery sectors as contents must arrive fresh, with maximum nutrition but also be safe to consume. Woolcool keeps food packed at 1oC chilled below 5oC for at least 24hrs. Woolcool works by wool fibres absorbing moisture from the air and minimising humidity/condensation to create stable temperatures. When the wool is enclosed in a micro-perforated, recyclable, food grade liner the wool can ‘breathe’ and a natural cooling system results. As there is no odour, wool will not taint contents. As there were only four finalists globally for this special award category this is a significant achievement for the Australia and New Zealand packaging industries and for the Australian Institute of Packaging (AIP) who have led the Save Food Packaging Award program for industry. 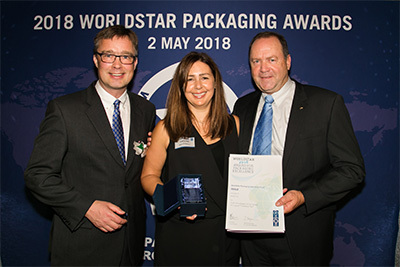 The Packaging Innovation Design (PIDA) Awards are the exclusive feeder program for both Australia and New Zealand each year into the WorldStar Packaging Awards. The winners and High Commendations for the 2018 PIDA Awards are now eligible to enter the 2019 WorldStar Awards.